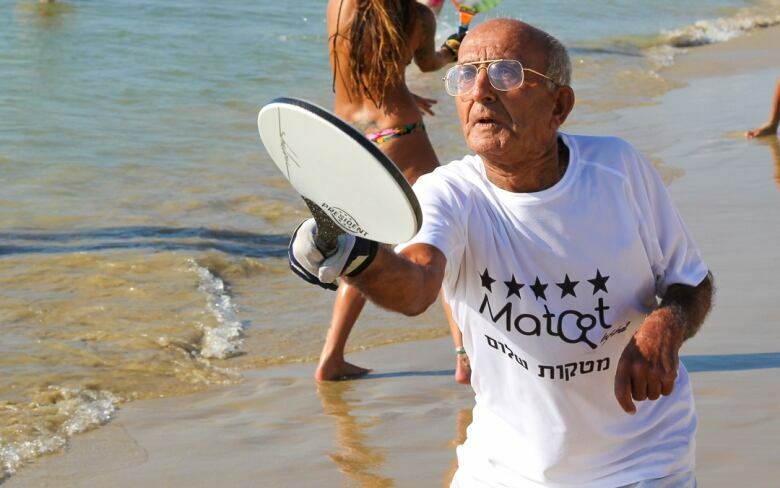 Matkot, a paddleball-type game, reigns supreme on Israeli beaches. But not everyone is in love with it, writes Derek Stoffel. 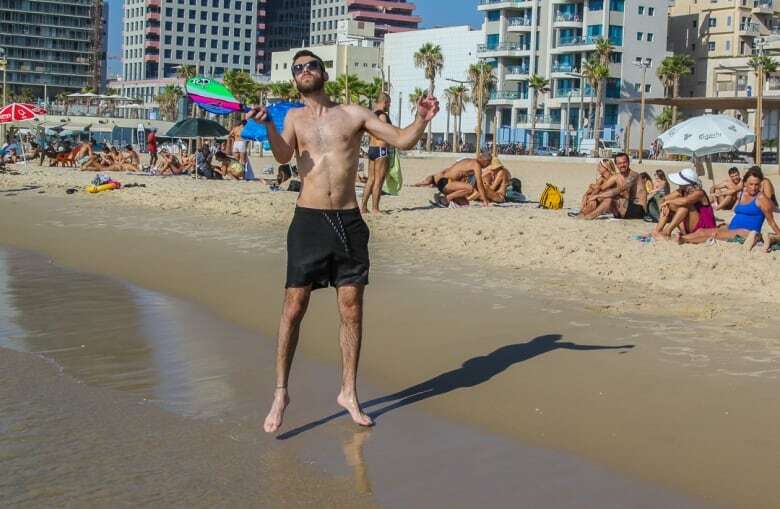 Walk down the coastline of most Israeli beaches during the summer and you will almost certainly run into people playing matkot, a paddleball game that many say is Israel's unofficial national sport. The game starts with a simple knock, and using wooden or carbon-fibre paddles, players hit the small rubber ball back and forth. But matkot is not a competitive sport — participants work together, with the goal of keeping the ball in the air as long as possible. "There's no score. 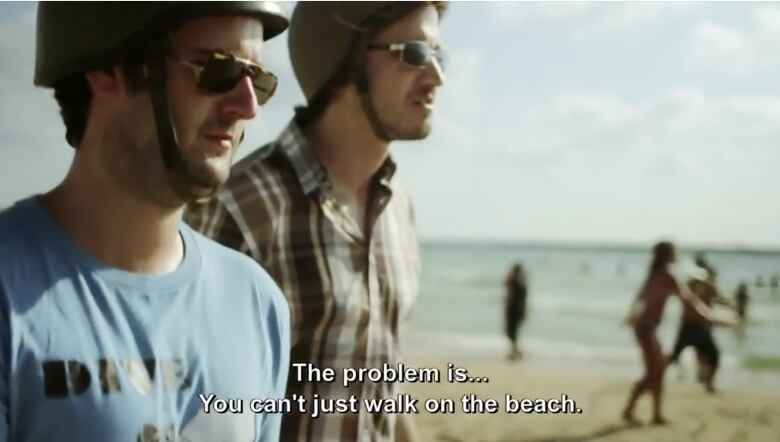 You're just playing the back and forth — that's it," said Jonathan Schwimmer, who plays matkot every time he goes to the beach in Tel Aviv. "It's just casual fun. There's no competition." Even so, many matkot devotees say the more intense and aggressive the play is, the more enjoyable the experience. "We both play together, both on the same team, but we are trying to do it as hard and fast as we can," said Schwimmer's friend Yonaton Nevo. "It's a powerful game." 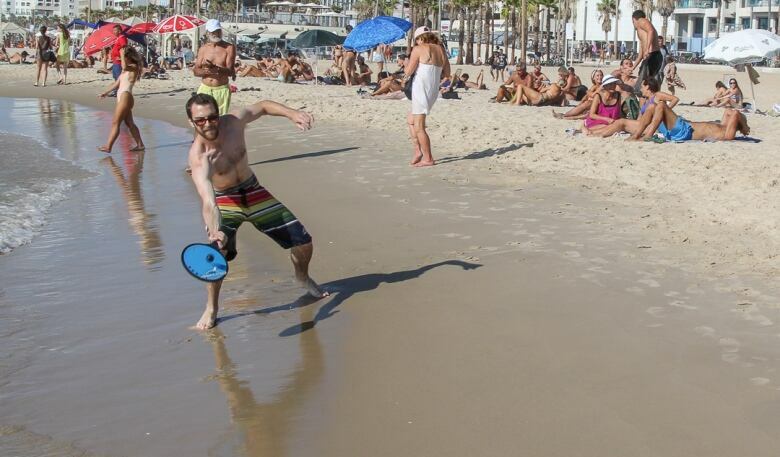 Similar types of paddleball are played on the beaches of California, Brazil and around the Mediterranean region. For many Israelis, matkot has become an obsession. Crowds turn out to watch the national championships, held each summer. 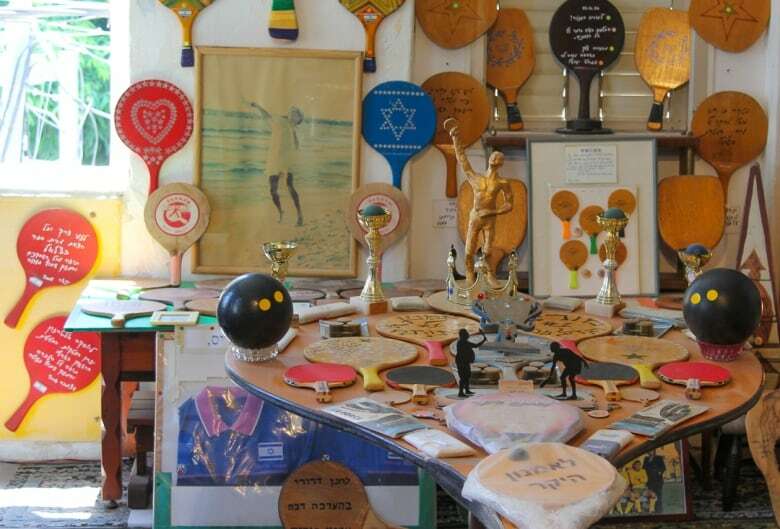 There is even a museum dedicated to the sport, where visitors can see 350 paddles — the largest collection in Israel. 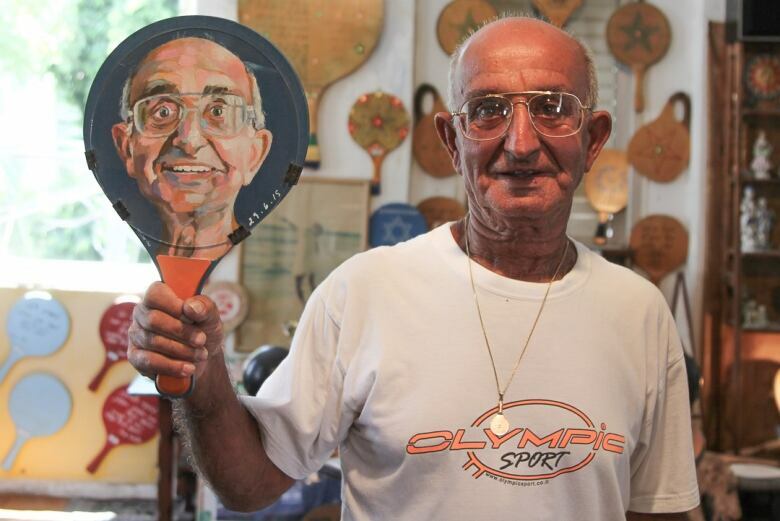 Amnon Nissim, who runs the museum out of his home in Tel Aviv, has welcomed thousands of visitors from around the world, who come to see the items he's collected, and share in his passion. "It's a game of togetherness. There are no winners or losers," Nissim said. "Hundreds of thousands of people here take part… simply for the pleasure of two people playing together." Nissim is out on the beach every Saturday morning for several hours. At 74, he plays an aggressive game, full of hard volleys and powerful serves. He says playing for more than 60 years has kept him fit and allowed him to meet other fans of the game. 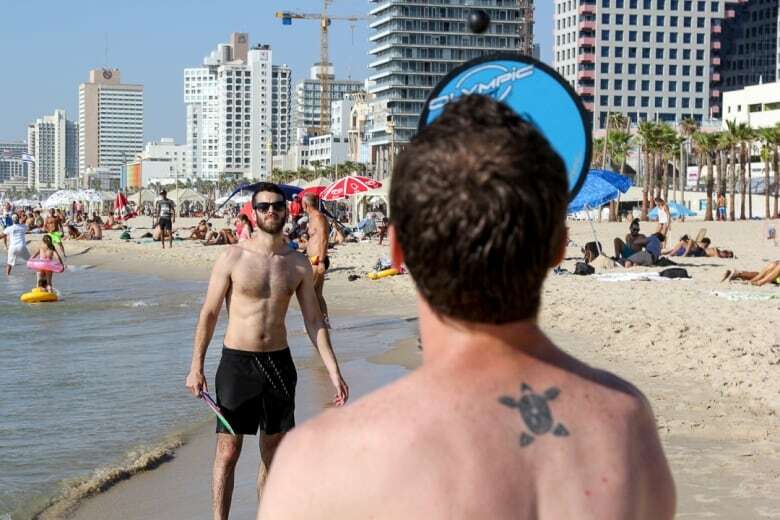 Some Israelis, however, complain that this national pastime is nothing but an annoyance — with the inescapable sound of paddle hitting ball interrupting a beachgoer's solitude. In 2012, two Israeli filmmakers, Liran Goldberg and Tom Shinan, produced a tongue-in-cheek short documentary where their dislike of the game is clear. In it, they spoke to a woman who said her teeth were knocked out by a careless matkot player while she was walking along the beach. 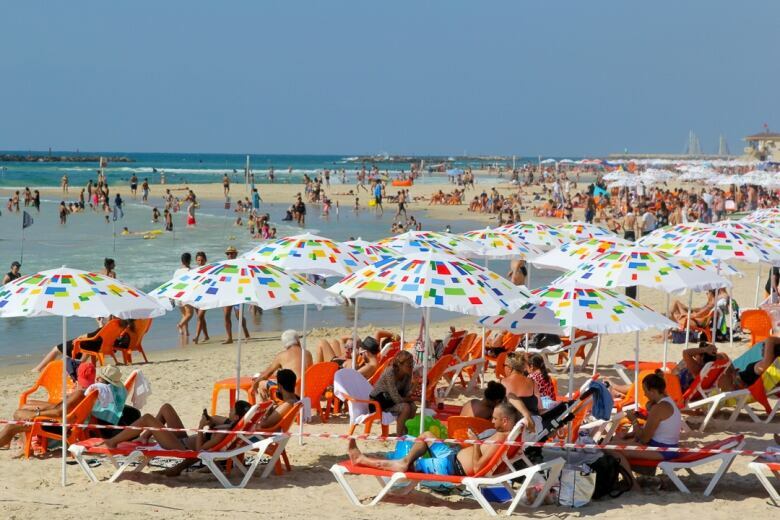 Israeli municipalities have established matkot-free zones on most beaches, where players are barred from knocking around a ball within 75 metres of lifeguard stations. Municipal inspectors sometimes patrol the sand looking for violators, who can be fined.